Whether you’re traveling for business or for pleasure, in order to be able to spend money abroad, exchanging money is essential. In other words, you will have to exchange your currency to the locally accepted currency of the country where you are visiting. Keep in mind that the exchange rate will determine how much money you get. What’s more, that rate varies. Therefore, it’s a good idea to become acquainted with the best places for exchanging money, as well as the best times to make an exchange. For example, if you are visiting the Canadian city of Winnipeg, you can make your exchange at currency exchange Winnipeg. All the same, you need to be informed when it comes to exchanging currencies anywhere in the world. 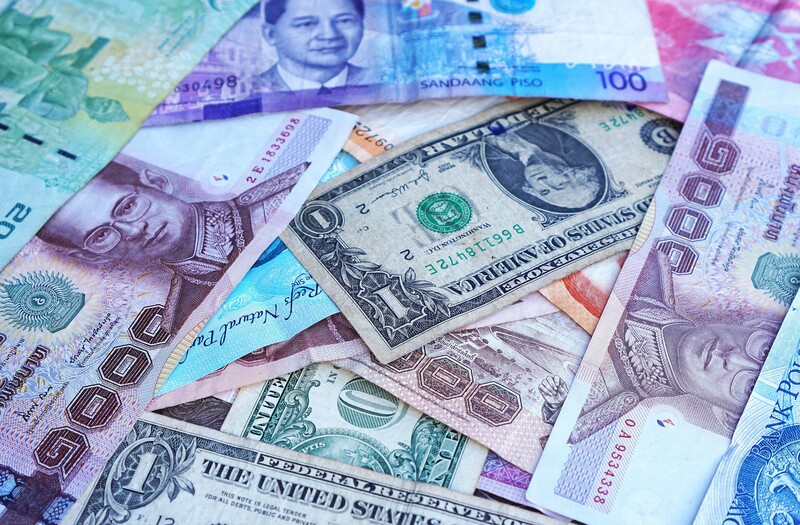 To that end, here are ten simple tips you can make use of when you’re exchanging money abroad. Airports often have poor rates. That’s because they have no competition. However, since you need a little cash to move around, just make a small exchange. However, only get enough of the local currency to allow you to get into the city and get your bearings. When it comes to exchanging money, savvy travelers look for places where there are many tourists. That’s because they know that any touristy street is likely to be a good place for exchanging money, since the level of competition there makes currency exchanges more competitive. What’s more, you could even shop different streets around the city for a chance of getting better exchange rates. It is always wise to monitor the currency rates. That’s because they are constantly changing. However, also keep in mind that tomorrow’s rate may cost you more for exchanging money than today’s rate does. Also, it is a good idea to know about the best times to make an exchange. Generally speaking, Monday through Friday are the best days for exchanging money. The forex market is not open on weekends. As a result, weekends are not a good time to exchange your money for the locally accepted currency. Besides, every money-changing vendor will be using the last quote made on Friday. Therefore, it is better to wait until Monday. If your bank has an international ATM or a partner bank in the city you’re visiting, you could save money on withdrawal charges. Nonetheless, even if that’s not the case, any ATM is still fairly inexpensive when it comes to exchanging your money for the locally accepted currency, even taking into account the transaction fees. So consider looking for an ATM when you want to exchange your money abroad. Avoid any bureau that has sign out front offering a “no-fee” currency exchange. Such a sign outside a money-exchanging bureau is an indication that you could be walking into a scam. The sign is just a way to lure you in. However, if you check their rates carefully, you will see that they are offering higher rates than you would get at an ATM. As much as credit cards offer competitive rates, they often charge higher fees and interest rates on cash advances. What’s more, the interest on the advance will start as soon as you take the money. You won’t even get the usual interest-free grace period you receive for your credit card purchases. Apart from your travel money, you should have an emergency fund stashed somewhere. Therefore, keep a U.S. one-hundred-dollar bill hidden away with you while you’re traveling. That’s because this is a currency that is accepted anywhere in the world, and it could get you out of a jam. Always use your ATM or debit card for cash withdrawals but not for purchases. This is because your bank account is likely to be debited immediately for any purchases. And if you decide to ask for a refund, it can take a week or more for that refund to be credited back to your account. This can be a big inconvenience while you’re traveling. Most credit cards will charge you a small percentage for the purchases you make abroad. However, they are still the least expensive and safest way to make payments for large purchases. Besides, credit cards often add their fee on top of the interbank rates. This can give you a better conversion rate even with the paid fees. In conclusion, have a proper plan for exchanging money when you’re traveling internationally. In short, understand when, where, and how to exchange your money for the local currency. Knowing these things will help you to avoid unnecessary costs.